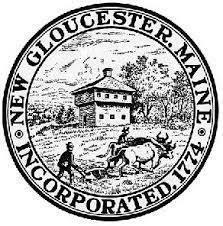 NEW GLOUCESTER — Less than a month after approving rental fees for town facilities and fields, the New Gloucester Selectboard is considering rescinding that revision or delaying the implementation of those fees. The Board unanimously voted March 18 to charge organizations, nonprofits and other groups to utilize town space. The fees would be supplemental income for the parks and recreation department. The fields and facilities will still be free and open for general public use except for periods during which they are reserved. At the April 8 Selectboard meeting, Chairman Steve Libby said he asked for the issue to be put back on the agenda. Board member Joe Davis clarified that the fees do not affect everyday citizens, just groups that would like to reserve a facility for a specific event or time. “These fees have nothing to do with the public. These are organization fees. So if I want to go use the tennis court, I can without paying a fee,” he said. The fees took effect immediately after the March 18 vote, and they currently remain in effect. The board voted to table the discussion until a later meeting. The board also voted 3-1, with Davis opposed, to add a warrant article regarding turnout gear for the fire department to the town meeting. Fire Chief Toby Martin explained the necessity of the gear for new hires. “The gear that’s being requested is the bare minimum of staffing for 24/7,” he said. The 15 suits of gear would cost nearly $40,000, and the board proposed that the money come from taxation. Residents will vote on the warrant articles at the town meeting May 6. The board also considered altering the charge of the Candidates/Referendum Issues Committee to deal with referenda only. Town Manager Carrie Castonguay said her intent was to ensure that residents are educated about referenda. The board voted to leave the charge of the committee as is and consider its policy and procedures in the future. He worries about development taking place near the lake and wants to ensure that violations do not occur. Ricardi asked that the association meet with the Selectboard to discuss shoreland zoning rules and possible ordinance changes. Libby suggested that Ricardi first take the issue to the Land Management Planning Committee.